So I have had lots of people ask me this question; How do I start and build a profitable podcast? Well, not only does it take guts but requires the ability to discover your voice, audience and unique selling point. The truth is a lot of people want to speak but don’t take ownership of their chosen topic and aren’t articulating their message. They are interested in the results and but have not done their due diligence with understanding and implementing a proven process. 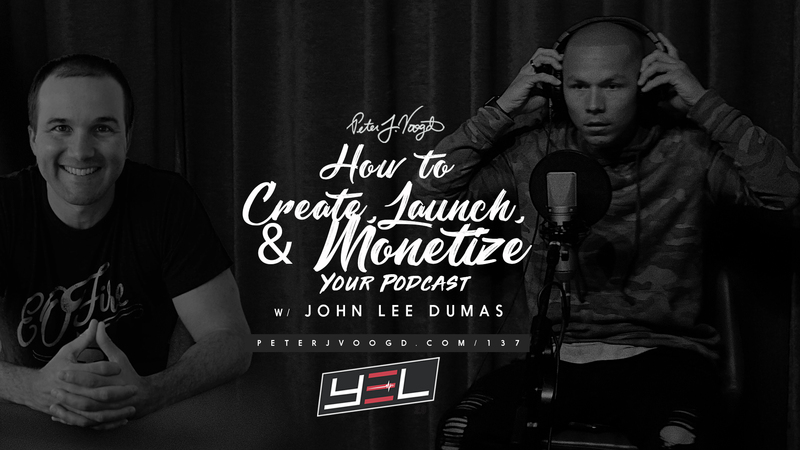 In this week’s episode, we have John Lee Dumas, a podcasting giant as our guest! John is a retired army officer and an accomplished podcaster with over 7 years experience, 2100 episodes and over $15 million in profit and sales. He is one of the most sought after keynote speakers and pioneers of podcast shows. He has traveled the world sharing his compelling story of how he became an accomplished podcaster earning six figures in just 13 months. John speaks about his dark years during his career and how he discovered his unique voice, show, and audience. He needed a daily show with fresh episodes that inspire entrepreneurs and aspiring entrepreneurs to transform their lives and be the best in all they do. If you are ready to discover the secrets to becoming a successful podcaster and learn from one of the best in the industry, join us on this week’s episode. You don’t want to miss! JOIN US IN OUR LIVE PODCAST TRAINING – MARCH 28, AT 12 PM! 100 % FREE! MOST TACTICAL AND COMPREHENSIVE TRAINING! CREATE, LAUNCH, GROW AND MONETIZE YOUR PODCAST! 1. WHAT IS YOUR BIGGEST THREAT TO STARTING A PODCAST? 2. WHAT POSSIBLE STEPS WILL YOU TAKE TO OVERCOME THIS CHALLENGE?